In recent years, especially since the election of Jeremy Corbyn first in 2015 after Labour's disastrous defeat in the general election and then again in September 2016 after a coup—this time with a larger majority—the Labour party has been accused of having a disease, that’s rotting the party to the core. The disease? Anti-Semitism. Many have claimed that the party has seen a huge increase in anti-semitism, although is this really true? In reality, it would seem that the issue of anti-semitism is nothing more than a political smear campaign which has become the deciding factor in the ever-widening Labour party split. It would be wrong to deny that anti-semitism doesn’t exist, but what is clear to me is that anti-semitism is being used by the right wing of the Labour party to wedge the newly elected leader out of office. The evidence is overwhelming. How could the Labour party be anti-semitic when a Jewish man led them for four long years and then into the 2015 general election? What we the electorate must realize is that political party leaders, in the words of Boris Johnson, are taking us for ‘mutton-headed’ idiots. They are using serious problems within society as a form of political football. Is this really what British politics has come to? These constant attacks towards the Labour party, and more accurately towards the Labour leader from other politicians, including ones from the Labour party itself, are undermining British democracy. This upsets me because at such an important time in British history, can we really afford to take our eye off the ball? It was revealed recently that the new, unelected, Prime Minister Theresa May said at a Conservative Friends of Israel lunch that “disgusting” views of anti-semitism are found in British politics. She then went on to say that she is talking about “the Labour Party” (1). These comments come from a Prime Minister whose party over the last six years have done nothing more than to divide the people of this country, allowing racist views to fester in the squalor; which her own party has forced many people into. If these comments are not a political attack, then I’m not sure what is. How are people meant to have a proper conversation regarding the issue of anti-semitism when the person who is meant to be leading the country is busy spending her time—and your money—making disparaging remarks about the official opposition so that she can get a few extra points on the league table? The truth is that anti-semitism is a problem within British society as a whole. Recent reports show that there is absolutely no evidence which would suggest that the Labour party has a bigger problem with anti-semitism than any other mainstream political party. In fact, we know that out of all voters, the ones who are most likely to be anti-semitic come from UKIP (2). No surprise there then. Anti-semitism did not come from the Labour party, it does not come from a political background but rather, unsurprisingly, a religious one. If anti-semitism came from anywhere it was from the churches, the same hatred of Jews that was at first perpetrated by the churches has simply seeped its way into British society and then politics. Political heavyweights are the ones to blame. These people have turned the issue of anti-semitism into something trivial. Out of all the main political parties in the UK, the Labour party has actually done the most to tackle racism. We know that the party has always been there to champion the rights of the people who have no voice. You only have to look at their record to recognize this. It was a Labour government who introduced every single piece of racially discriminatory legislation (3), protecting every minority including those of Jewish faith. If you trace even further back you will know that the Labour party has always had a good relationship with the Jewish community. They supported the Balfour Declaration and have always asserted that the Jewish people should have a homeland (4). Only recently did the Labour party deliver the Chakrabarti report (5), which again shows their commitment to fighting any form of racial bigotry, helping to eliminate derogatory terms like “Zio” from political discourse. I ask you, what has the Conservative party done? Nothing. They have sat back and used the issue as a way of undermining the public's trust in the Labour party, they don't care about the rights of the people who have no voice. When it comes to tackling racist and bigoted behavior, the Conservative party are at the bottom of the league. It could even be argued that if the Conservative party have done anything, they have made such behavior worse. It was their party who decided to have the EU referendum which led to a huge rise in attacks on minorities and it was them who decided that they would put buses around the country telling immigrants to go home. The committee report into anti-semitism notes that the new Prime Minister (6) (who was probably busy having lunch) actually failed to respond to numerous requests to give oral evidence in the making of the report. It is no coincidence that UKIP is one of the most anti-semitic parties. That's because the Conservatives have been feeding them with bigoted activity for the last six years. Their own actions against minorities in this country have normalized the actions of extremist political parties, such as UKIP. It is clear to see that, yes, anti-semitism may exist within the Labour party, however, anti-semitism is seen in every part of our society including in all of the main political parties. 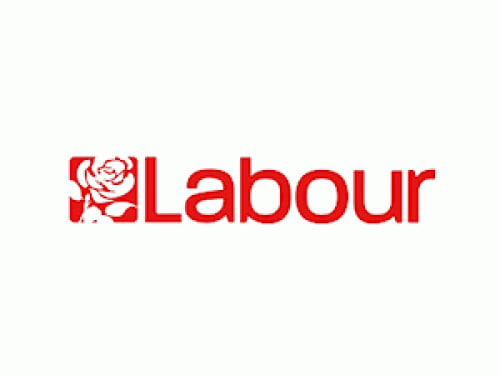 Tackling the issue of anti-semitism and the Labour party has often been met with blurred lines as the definition of what exactly constitutes anti-semitism is often ambiguous. Many see the simple criticism of Israeli policy as being anti-semitic. It has been suggested by Israeli politicians that condemning the building of illegal settlements is, in fact, anti-semitic as it is stopping the right of the Jewish people to building on what they consider to be their rightful homeland. After the passing of UNSCR 2334, the Israeli ambassador said that it would be added to the long and “shameful” list of anti-Israel resolutions (7). I don’t believe that such action is at all anti-semitic, but instead recognizes that there should be one rule for all. This often makes tackling the issue particularly difficult, Naz Shah MP was recently suspended from the Labour party after she posted a picture which suggested that the people of Israel should be relocated to the US8. The ordeal was branded as being anti-semitic. Perhaps it would be better to suggest that it was, in fact, politically incorrect and that it was helping to fuel the fires of the true anti-semites. I don’t think that the post by Naz Shah could be said to have shown a hatred towards the Jews. It is important that the people who represent us are allowed to speak openly about certain issues, such as the policies of Israel. The suspension of Naz Shah was the right thing to do, however, I also believe that it is a slippery slope to an erosion of one's right to free speech. The evidence is clear the Labour party is not, in fact, anti-semitic, that does not mean that anti-semites don’t exist within their ranks or the fact that there is more work to be done. Although, it is obvious that out of any political party, the Conservatives have done the most to divide the nation, while Labour has continued to fight for the rights of every minority. While Theresa May is busy playing politics in the Sunday league, the Labour party will continue with the fight against anti-semitism by introducing investigations like the one done by Baroness Chakrabarti. Anti-semitism is an age-old disease seen in the works of Shakespeare, still today it needs to be cured, although this cannot be done until the whole of society—not just the Labour Party—owns up to the problem. What is also obvious is that politics in general needs to change, politicians spend less time representing us, and more time insulting other members of parliament. The British public doesn’t pay MP’s to spend their time rambling in newspapers, instead, they want to see them dealing with ever-growing problems such as homelessness and xenophobic behavior. After all, what can be done when both parties insist on kicking each other?